Since 1851, our New York apothecary has been dedicated to serving customers formulas for skin and hair made with efficacious, naturally derived ingredients. All of us at Kiehl's would like to extend a heartfelt greeting to our customers everywhere! 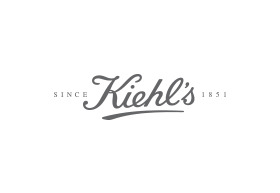 Although our products are available internationally, Kiehl's is at its heart NEW YORK 'BORN AND BRED'.